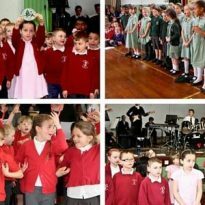 For over a decade, on one day each year, Sing Up has invited schools from around the world to join in with Sing Up Day, an annual celebration of singing. 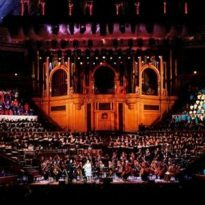 This year, Sing Up Day took place on 13 March, with an incredible 64,000 singers from over 30 countries around the world taking part. 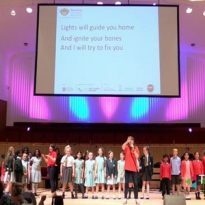 The purpose of the day is to unite as many children and young people as possible through singing, using a new, specially commissioned song, to share a message of unity and positive action as well as the joy of singing in a group. This year’s Sing Up Day anthem, One moment, one people, was composed by Beccy Owen, a UK-based singer/songwriter who has been writing and performing for the past two decades. The song’s lyrics are designed to unify all who sing it, bringing a sense of inclusivity and belonging. “Sing Up Day is a great opportunity for us to reach out to schools all over the UK and across the world and spread the joy of singing. 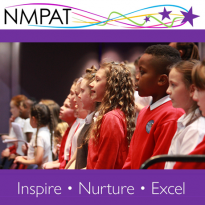 This year’s song had a particularly poignant message of coming together and supporting one-another – a message we are keen to help schools to spread among their pupils and wider communities. Beccy’s lyric about the world getting kinder as we sing side by side is the core message of the song, and one we can definitely get behind.” Michelle James, Sing Up CEO. 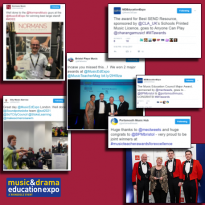 For this year’s celebration, over 300 events were submitted to the Sing Up Day Map by schools, choirs, community groups and Music Education Hubs. Sing Up Day 2019 was once again a truly global event, with participants hosting events in Tanzania, China and Dubai to name just a few. 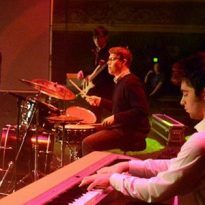 Sing Up Day activities this year included whole school singing assemblies, BSL-signed performances, joint community concerts, and performances of One moment, one people at schools across the world. Because this is the tenth Sing Up Day celebration, this year we teamed up with the prestigious Yale Glee Club, who hosted a series of workshops and performances in two lucky schools. “We want to send a message that you don’t have to be a musician to sing in a choir. You can basically be anyone because everyone has a voice and it is our most intimate instrument and it’s free, it’s available to you everyday. So we want to send a message that everyone can join a choir and joining a choir can bring a lot of happiness to you and a sense of community.” Said Andrew Hon, Student Director of Yale Glee club.